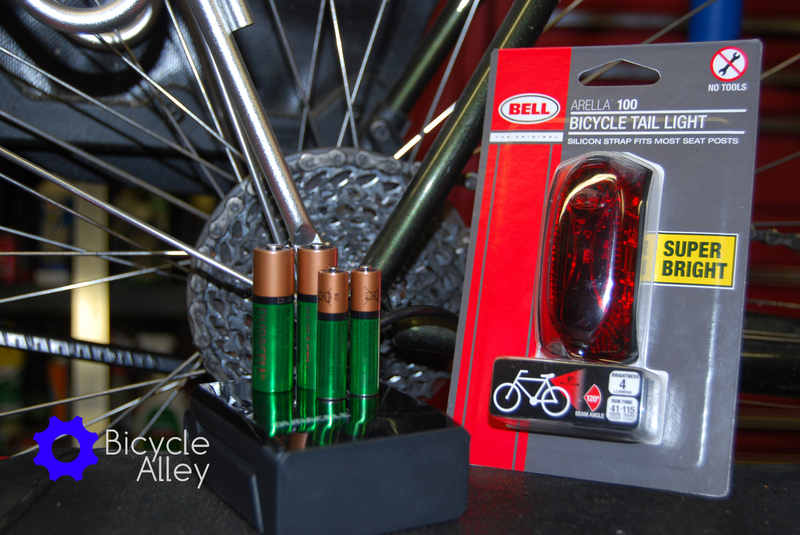 Bell Arella 100 Tail Light and Duracell Ion Speed 4000 Battery Charger. Bell got their start over 50 years ago making racing helmets here in the USA. Now you see the Bell name on products ranging from motorcycle helmets to bicycle accessories. Most of those products are no longer manufactured here at home, but what is now days? 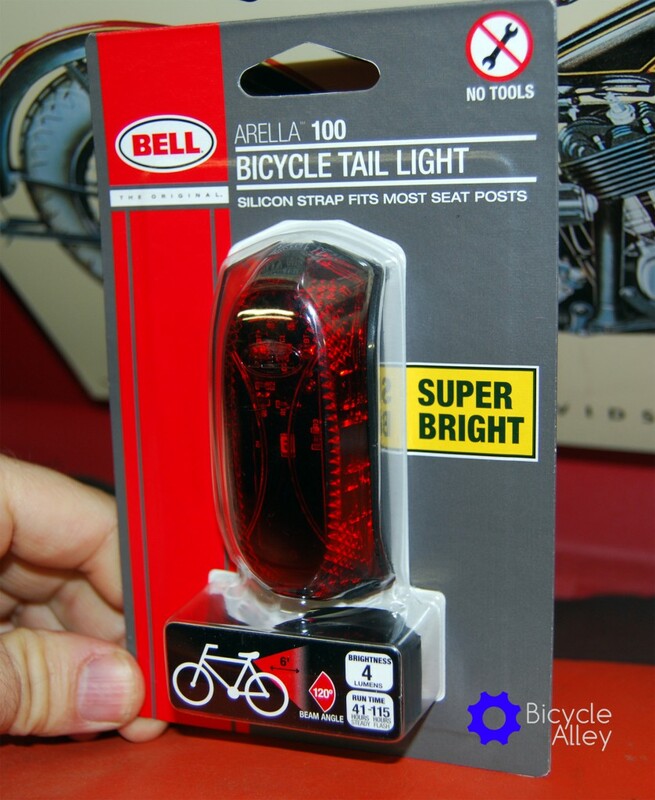 Walmart sells a Chinese made Bell Arella 100 bicycle tail light for $9.96 plus tax, and I picked one up a few days before Christmas. 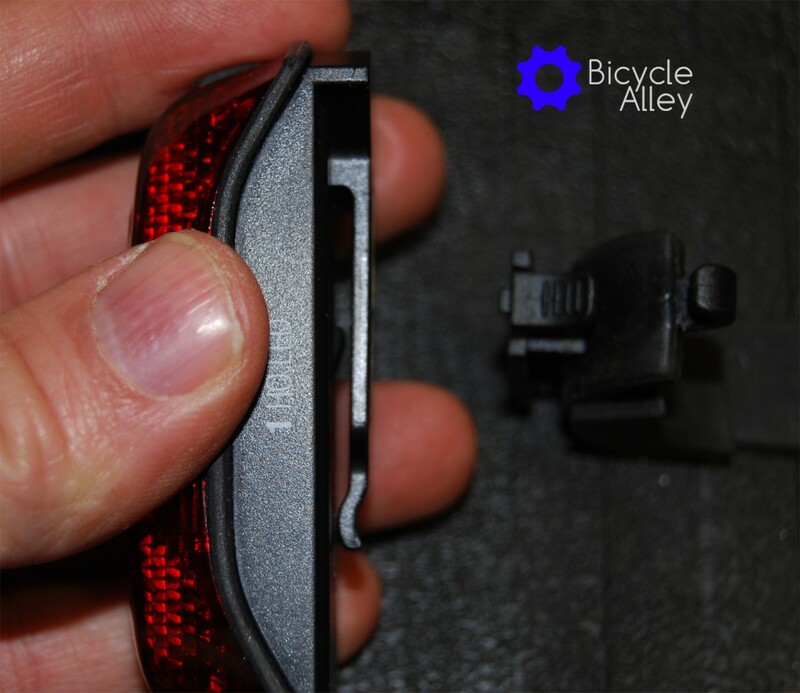 I was curious about the light because they now come with a silicon mounting strap, which is a new feature for low end bicycle lights. 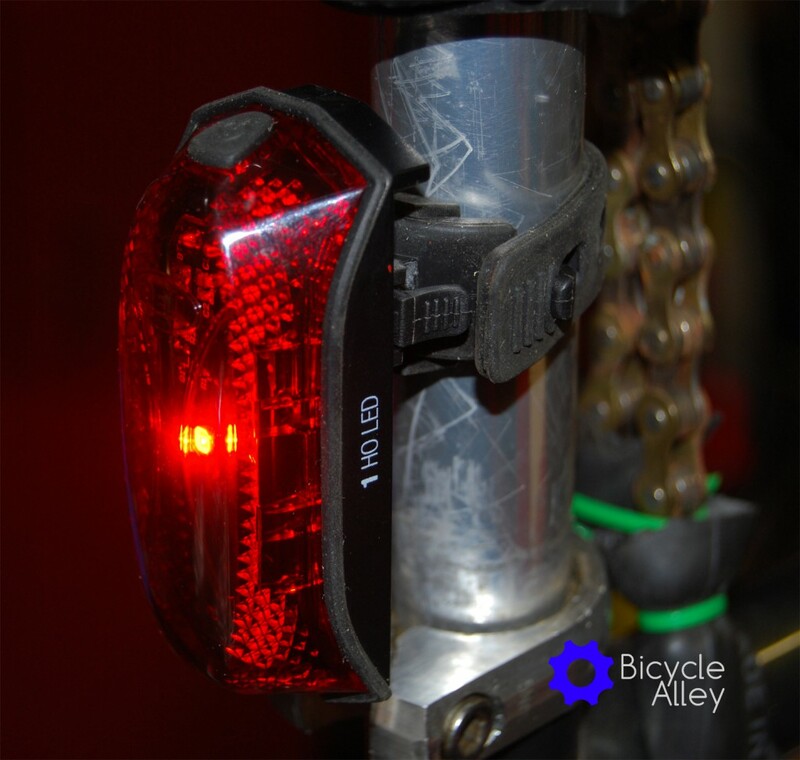 The Bell Arella 100 tail light produces 4 lumens from a single LED using two AAA batteries, and has two modes: flash and steady. The run time for flash mode is 115 hours and 41 hours for steady mode. 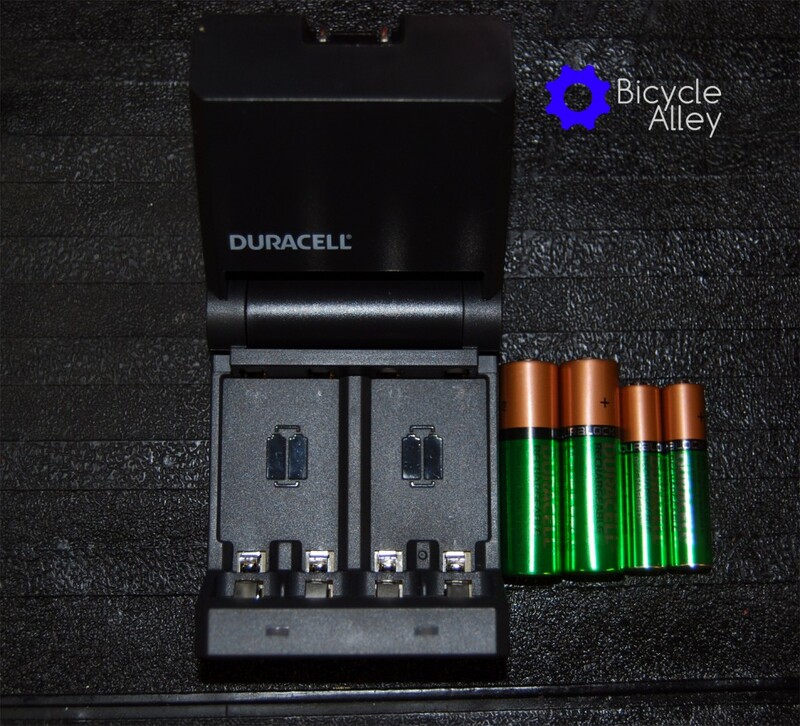 I also picked up a Duracell Ion Speed 4000 Battery Charger that included 2 AAA and 2 AA rechargable batteries. The rechargable Duracell batteries should last the life of the Bell Arella 100 tail light, so I only need to purchase batteries once. The Bell Arella 100 tail light is not a bad tail light for night time use. 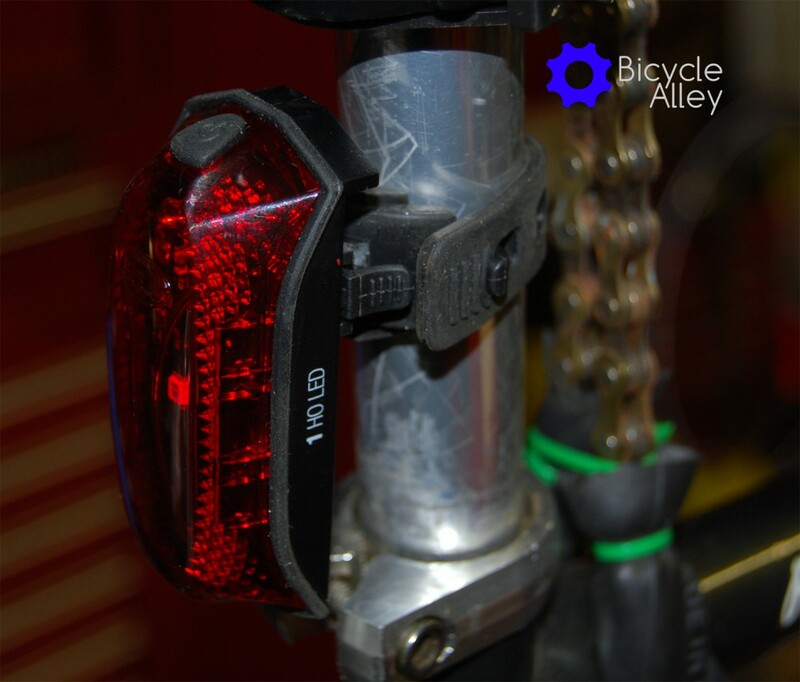 It isn’t bright enough for sunny day time use and shouldn’t be trusted to make you more visible during the day, but that’s not surprising for a low priced bicycle light. The light has good side visibility and has a 120 degree beam angle and a 6 foot beam length. The Bell Arella 100 tail light was tested using FL-1 standards, so the specifications should be accurate. The silicon strap makes installation easy, and the light is a breeze to remove from one bike and install it on another. If you have more than one bicycle than you definitely want lights that use a silicon strap. John 3:16 For God so loved the world that he gave his one and only Son, that whoever believes in him shall not perish but have eternal life. 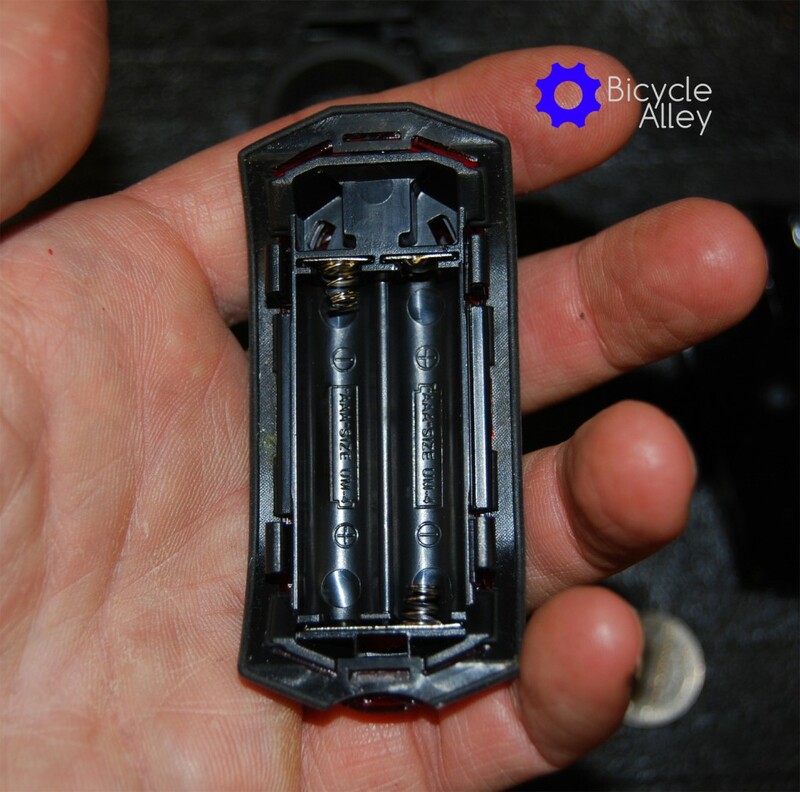 Bell Arella 100 Tail Light battery compartment. It uses 2 AAA batteries. Bell Arella 100 Tail Light installed on the bicycle seat post. Bell Arella 100 Tail Light clip used to attach the light to the silicon mounting strap. You can see how the Bell Arella 100 Tail Light attaches to the silicon mounting strap. 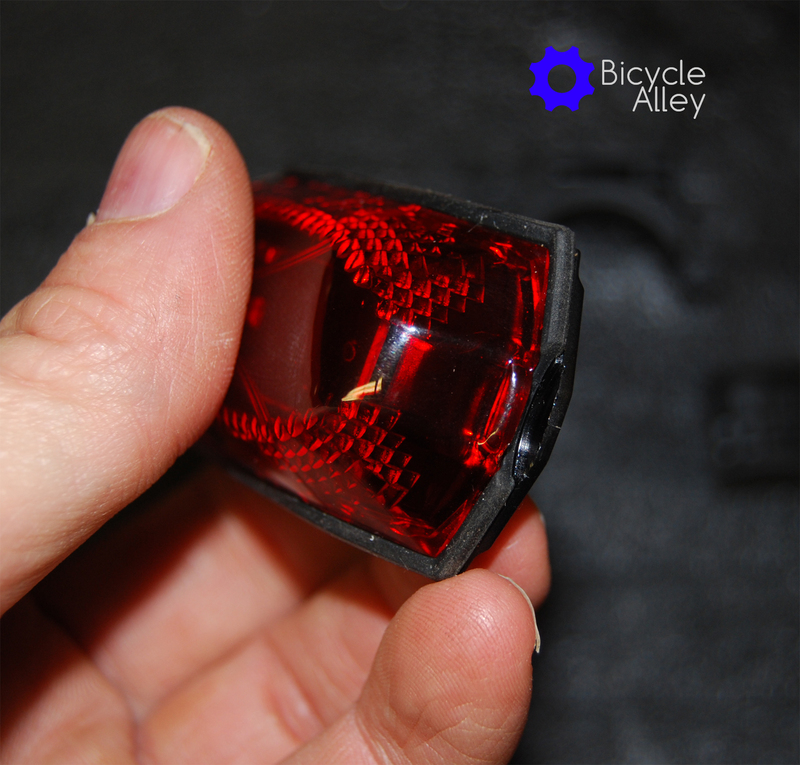 Bottom part of the Bell Arella 100 Tail Light where you can insert a nickel and remove the cover to reveal the battery compartment. 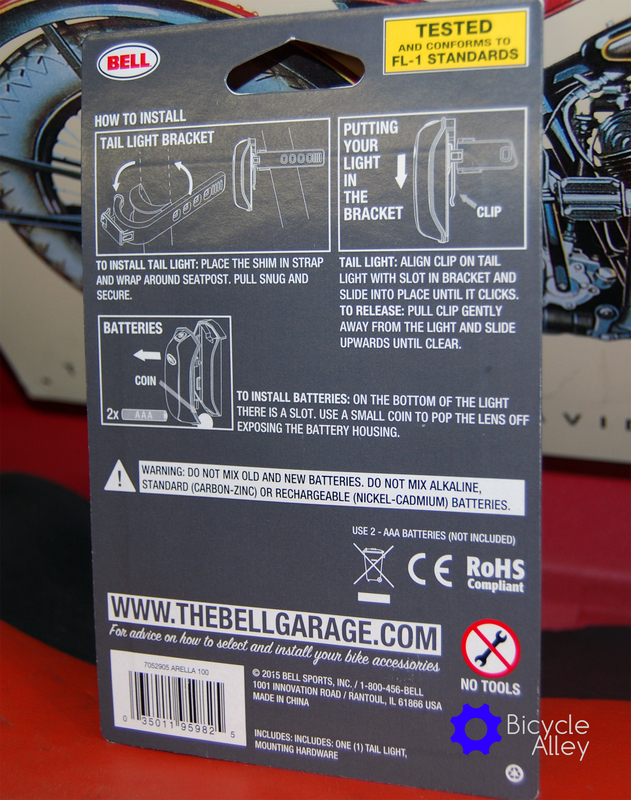 The front label for the Bell Arella 100 Tail Light. 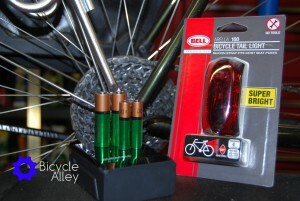 The Bell Arella 100 Tail Light attached to the seat post with the light on. Top of the Bell Arella 100 Tail Light where the power and mode switch is located. The Bell Arella 100 Tail Light silicon strap attached to the seat post. 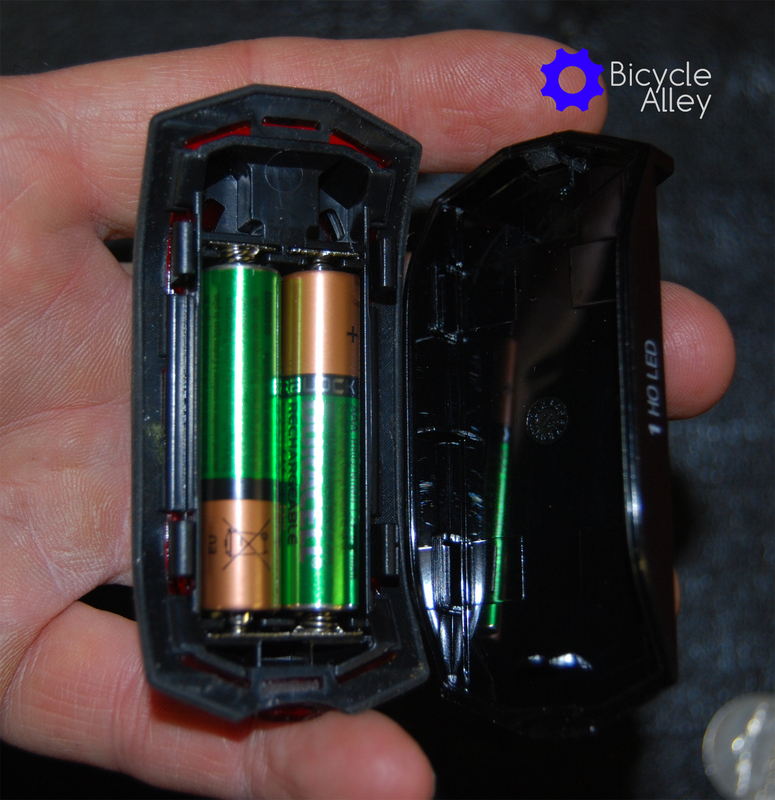 The Bell Arella 100 Tail Light battery compartment with 2 Duracell rechargeable AAA batteries. Everything included in the package for the Bell Arella 100 Tail Light. From left to right: Bell Arella 100 Tail Light, silicon mounting strap and shim. The Duracell Ion Speed 400 battery charger with 2 AA and 2 AAA batteries. You can charge up to 4 AA or 4 AAA batteries at a time or any combination of the two. 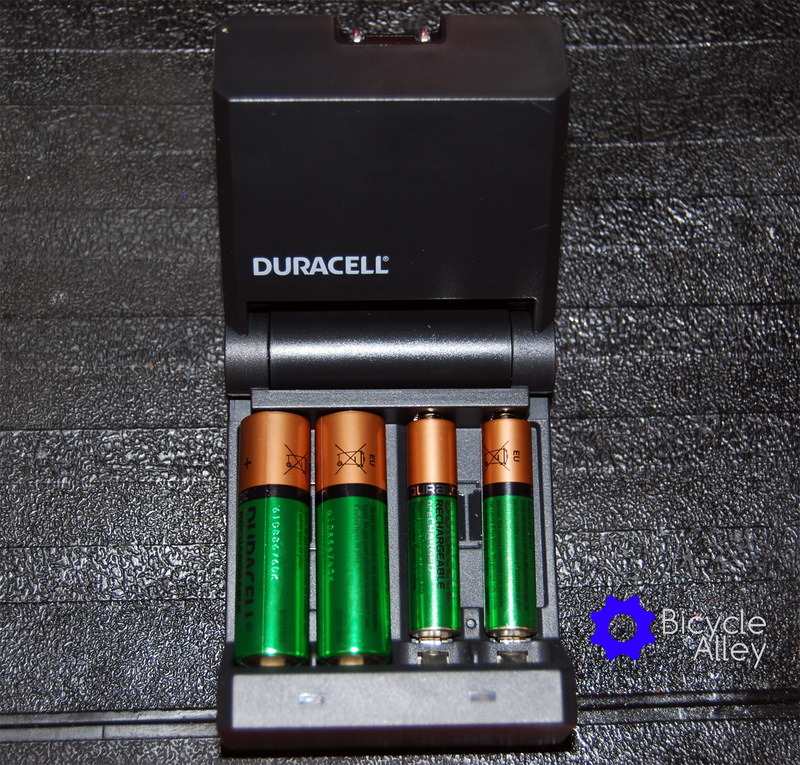 The Duracell Ion Speed 400 battery charger with 2 AA and 2 AAA batteries. Posted in Install / Assembly, Product Review.